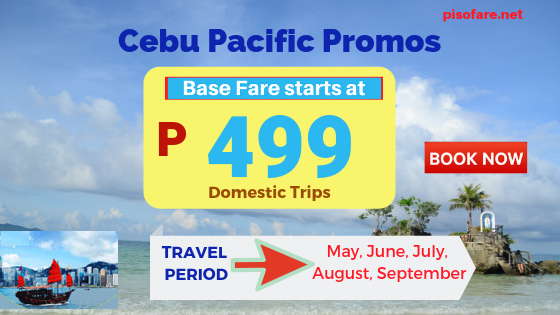 Book as low as P499 base fare Cebu Pacific promo tickets for your trips this 2019! Check destinations included on this promo, this might be what you are waiting for! Sale tickets available for trips to/ from Manila. On offer starting today are Cebu Pacific sale tickets you may use for travel from May 2019 until September 2019. Grab low fares as low as P499 base fare for domestic flights and P732 base fare for international trips. 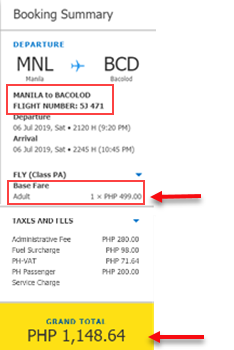 Base fare promo tickets are good for one-way travel and cover up to 7 kilos hand carry baggage. Exclusion are Web Admin Fee, taxes, Fuel Surcharge and Terminal Fees. 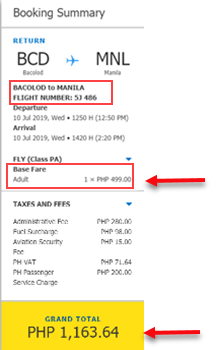 Cebu Pacific promo fares are on limited availability and good while seat on sale last. Book low fares online at www.cebupacificair.com. No promo code needed in booking. Pay booked tickets via Credit/Debit Card, PayPal, Alipay or via Payment Centers. Contact Cebu Pacific Reservation Hotline Numbers. Reserve affordable fares thru Cebu Pacific Mobile App. Do you need more promo fares? Follow us in Facebook: PISO FARE TICKET for updates on Cebu Pacific promos 2019- 2020, PAL seat sale 2019 and travel tips!